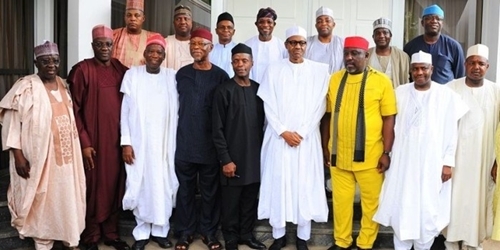 The chairman of the APC's Governors' Forum and the governor of Imo State, Rochas Okorocha, said the party had nothing to fear from recent defections. 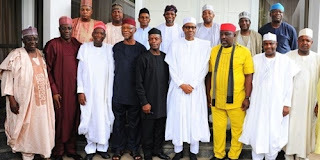 Okorocha revealed that the governors elected on the platform of the All Progressive Congress in power (APC), declared that their position was based on the fact that the party was still majority in the states and in both chambers of the National Assembly . He regretted that their colleagues from Kwara, Benue and Sokoto left, but said it was not surprising. Okorocha said, "As you know, three of our colleagues left the party and we had one by Ekiti, it's politics, it's unfortunate that they had to leave, but that's not all. nothing reduces our party or has affected us in any way, we are always strong, much stronger and united. "We have 22 states, 53 senators, we are still the majority and we hope to be more part of our party, so we are here to inform President Buhari that we are with him and that no one leaves the party and those who left we knew they would leave several years ago because what they asked for, the party could not afford to give them. "But all in all, we are determined and happy that Nigerians know the truth and our president is in a good mood," he said. According to him, President Buhari is willing to say and he is ready to fight against corruption, adding: "you all know that if you fight corruption, it will defend itself and that is what happens. We are here to let him know that we are ready like his infantrymen. " Okorocha also called on Nigerians to vote for President Buhari again next year, to enable him to complete the work he has undertaken for the country.